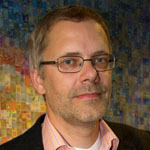 IJsbrand Jan Aalbersberg is Senior Vice President of Research Integrity for Elsevier, where he is responsible for new technology initiatives to safeguard the integrity of both content and the content-based products that Elsevier offers to the research community. In this role he is also responsible for the user privacy in these Elsevier research products. IJsbrand Jan joined Elsevier in 1997. During his tenure, he has held a variety of positions that bridge the gap between publishing and technology. He first started at Elsevier’s Engineering Information division, where he led the transformation of the second-generation Engineering Village platform. IJsbrand Jan’s next assignment placed him as one of the initiators of the abstract and citation database Scopus, where he was responsible for its publishing-to-technology connection. In 2006, IJsbrand Jan became Technology Director of Elsevier’s Corporate Markets business unit. In 2009, he moved into a leadership role where he focused on enriching the scientific article on Elsevier’s full-text platform ScienceDirect, establishing Elsevier’s Article of the Future initiative and then expanding to include the company’s research data initiatives. IJsbrand Jan was awarded a PhD in Theoretical Computer Science at the University of Leiden, after which he became research scientist at Philips Research in both The Netherlands and the USA. He has published scientific articles and holds patents in the areas of document retrieval, research data linking, and user interfaces.